On the topic of taboo subjects, some people find it awkward sharing their salary with their spouse, friends or colleagues. Politics is more or less the same. But a thought-provoking article from UKAD’s Science Officer Ellen Gregson and the rise of athletes claiming contaminated supplements as the cause of their positive drug tests led to us needing to speak about supplements and the potential implications these have for athletes. Herbal/All-natural products (products often used as consumers feel these are better for them than synthetic supplements). More often than not, consumers will substitute with these rather than supplement their existing diet. For the most part, athletes who’ve been in the press for contaminated supplements will typically get caught out on dietary supplements such as pre-workouts (High caffeinated powders which users will consume before a training session), fat burners and hormonal boosters. Athletes will tend to report these for their unexpected positives. Many athletes have recently faced sanctions for violations of doping guidelines. Charles Ssekyaaya recently tested positive for DMBA (a stimulant) and because of the supplement failing to list the prohibited ingredient, he faced a reduced ban. Fellow athletes Ashley Johnson and UFC’s Anderson Silva both went through similar ordeals, but both were lucky enough to receive shortened bans, meaning they could return to playing for London Wasps and fighting for the UFC, respectively. What does a PhD student exploring implications of anabolic agents on the molecular mechanisms of muscle memory make of this? The PhD student behind the incredibly informative page, AntiDopingScience was able to offer insight into this grey area. Athletes still face a sanction regardless of intent, fault negligence or knowing use. In America supplements are regulated in a post market manner, which means that the Food and Drug Administration (FDA) does not evaluate the contents of a supplement before it is sold. Therefore, there is no guarantee that what is written on the supplement label is actually what is contained within the supplement. 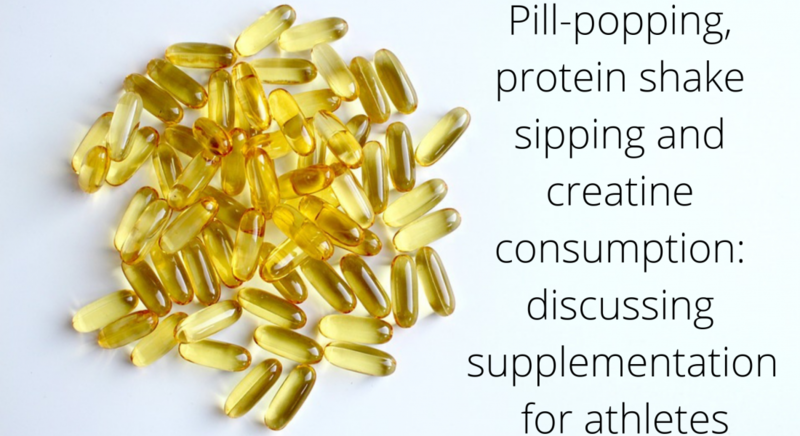 Although supplement laws differ within the European Union this problem still exists and supplement companies could place prohibited substances into a supplement without declaring them on the ingredient list. Therefore, athletes who compete under the WADA code should exercise vigilance when considering to consume supplements. AntiDopingScience credit USADA supplement recommendations here for points raised within his excerpt and directed us to further information on supplements and European law here also. Join us next week for part 2, where we discuss risk minimisation and our overall conclusions.